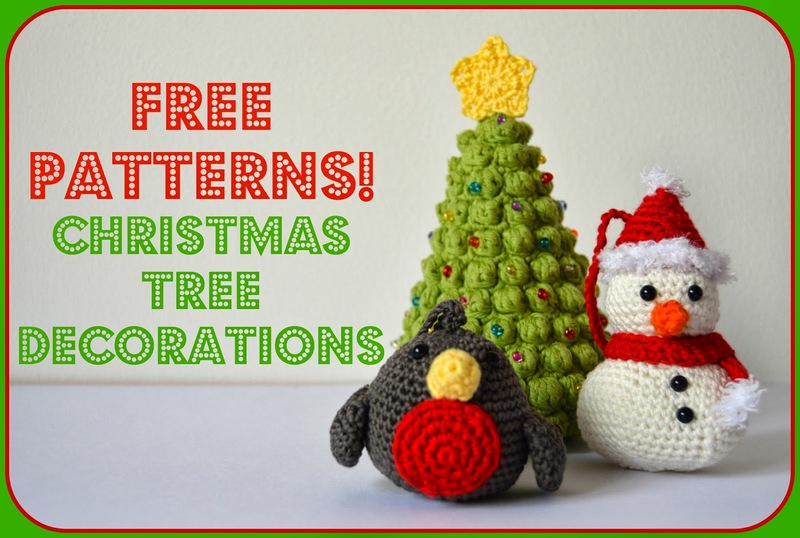 Curly Girl Coop: Free Hanging Christmas Tree Decorations! A while back I asked you to keep your fingers crossed for me as I'd had some exciting news and was waiting for it all to be finalised. Well now is the time when I can finally share it all with you! I'm so happy that the British company Black Sheep Wool asked me to design some free christmas tree decorations for their christmas campaign. I was a little hesitant at first; I'd only ever designed Sheldon before and that was completely on a whim, what if I couldn't come up with anything this time? I decided it was a huge opportunity I could't turn down, and set about coming up with some designs. The patterns are available on the Black Sheep Wools website here along with christmas patterns from popular bloggers Annaboos House and Little Things Blogged. Ooooh - they are cute, cute, cute! Well done you!